In a town where everyone is affiliated, making political impact is just a matter of time. 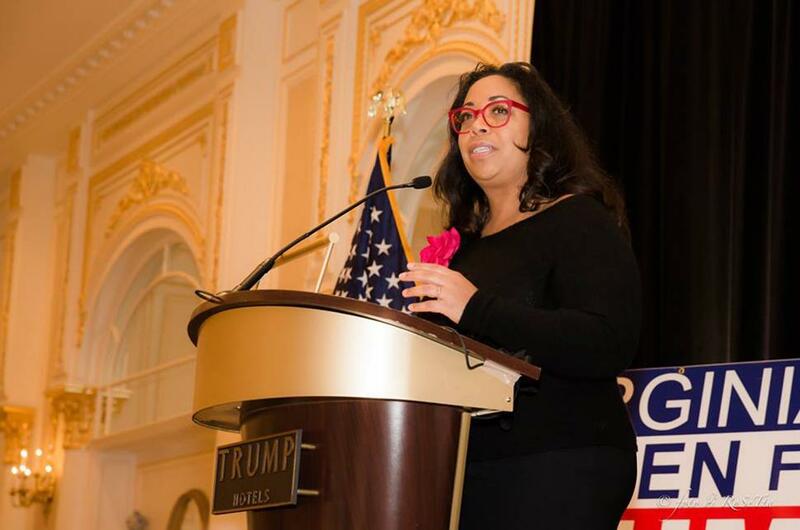 Although the Virginia Women for Trump have made a reputation for unabashed support of the President, their 2020 Kickoff event in Washington, DC. was decidedly and unilaterally a win-win regardless of party affiliation. Speakers from around the nation, and the globe, came together to share ideas, voice concerns to President Trump, and rally around the tales of Roger Stone, the keynote speaker. Among attendees was Women in Action leader, Lisa Noel Babbage, speaking on the necessity of the establishment of a pain-threshold for babies in the womb. This speech came on the heels of a groundbreaking piece of state level legislation co-authored by New York Democrats who have not only amended their definitions of healthcare related to abortion in favor of repealed limits on gestational time-frames regarding abortion, but have also amended their penal code to remove criminal negligence, intent, and murder as crimes against the unborn when abortions after weeks (gestation) were performed by licensed practitioners. In the 2017-2018 regular session, seventeen New York Senators introduced S2796, the Reproductive Health Act. Outrage ensued when Governor Cuomo, a professing Catholic, signed the legislation into law, a law that has been touted as the most aggressive abortion bill to date. Babbage’s remarks, however, were not filled with the rhetoric that has captured headlines sinc e S2796 became law. Instead, a point by point analysis of the constitutional inconsistencies with New York’s reproductive Health Act was conveyed. In doing so Babbage rallied Trump supporters and his opposition in the idea that a pain-capable threshold, or a heartbeat threshold, was a compromise every thinking person can support. The pain-capable threshold being promoted was based on a United States House Bill 36, which passed the House of representatives in 2013, 2015, and 2017. Unfortunately for many in the life movement, the Senate has yet to hear the bill due to a filibuster. With conservatives losing so many seats in the 2017 mid-terms, the bill, if introduced again as promised by Rand Paul, will have a tough time making its way out of the House again, let alone the Senate. Babbage’s speech to the packed audience was part of her Huddled Masses Tour, which began in December 2017. Her connections to our Constitution, especially the Preamble, the Emancipation Proclamation, and out Fourteenth Amendment all draw conclusions regarding abortion worth debating. Leaving with a standing ovation, Babbage takes her tour back to Georgia where she will be sharing the message of life and Huddled Masses all around the state. Babbage was invited to speak at the 2019 London England 40 Days of Life where Huddled Masses will reach a new audience. Read her book as she connects the illegal immigration conversation to the rights of the unborn at Amazon.